​ IRVING – Developer JPI has landed the funding it needs to break ground on a new luxury community near Lake Carolyn in Las Colinas' urban center. 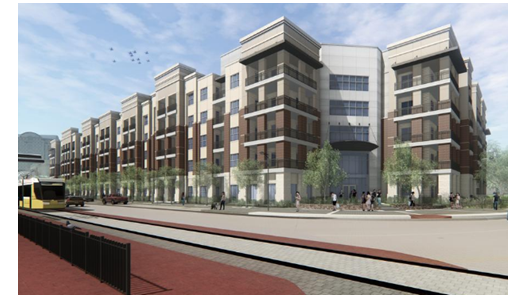 The 286-unit high-end community, called Jefferson Eastshore, will sit blocks away from the soon-to-open Irving Music Factory and the Water Street mixed-use development upon completion of construction, which is slated for fall 2018. Plans for Jefferson Eastshore include a resort-style community pool, a fitness center with yoga studio and a rooftop terrace overlooking Lake Carolyn. Each apartment will have an urban mud room, high-end finishes within the homes and separate showers. Some of the homes will include private yards. ​Want m​ore data? See DFW Multifamily Market Research. Also see other Texas cities' apartment news​.